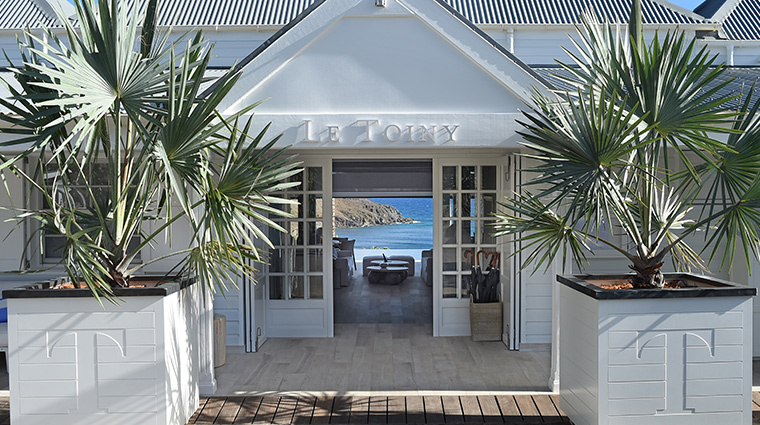 A paragon of St. Barts' quietly luxurious style, the recently refreshed Hôtel Le Toiny offers 42 acres of tropical bliss. Originally owned by Michael Chen from Korea and Raymond Balsen of France, Hôtel Le Toiny is now the property of Charlie and Mandie Vere Nicoll (along with a group of friends and family). 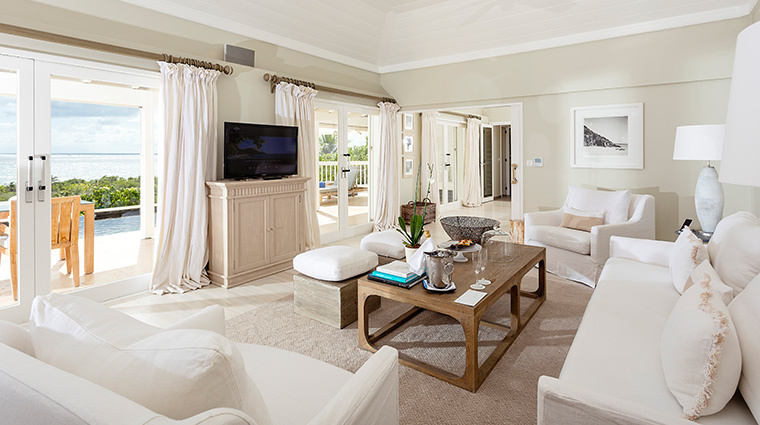 Even after its 2017 renovation, the property retains the feel of a small, hands-on, French family operation, with residential-style guest rooms, and privacy and discretion galore. Overseen by London designer Lady Bee Osborn, the hotel's recent redesign transformed the original French interior into a chic coastal retreat. 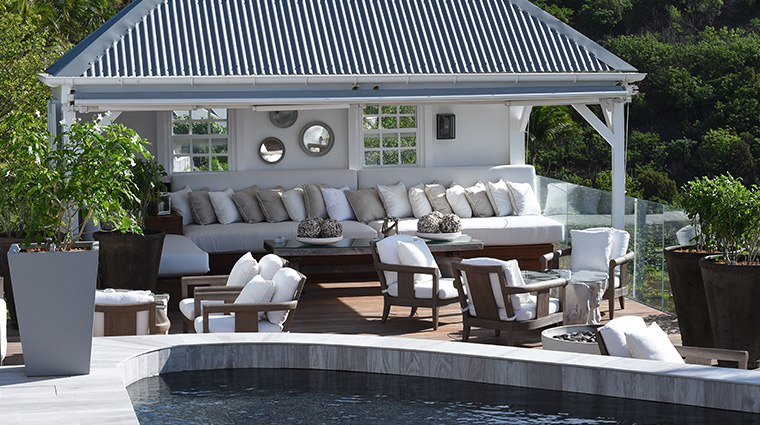 She created a neutral palette with petrified wood, mother-of-pool and sun-bleached teak accents. 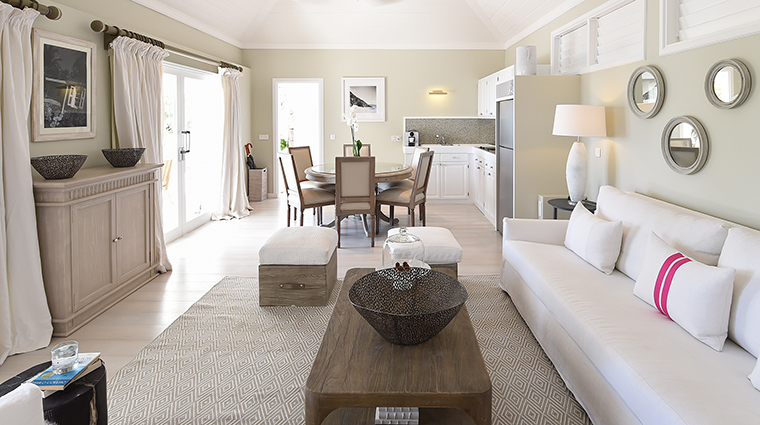 The 22 villas have bleached wood-inspired floors, fine linens and handmade furnishings (with some added pops of blue to call out the azure sea nearby). 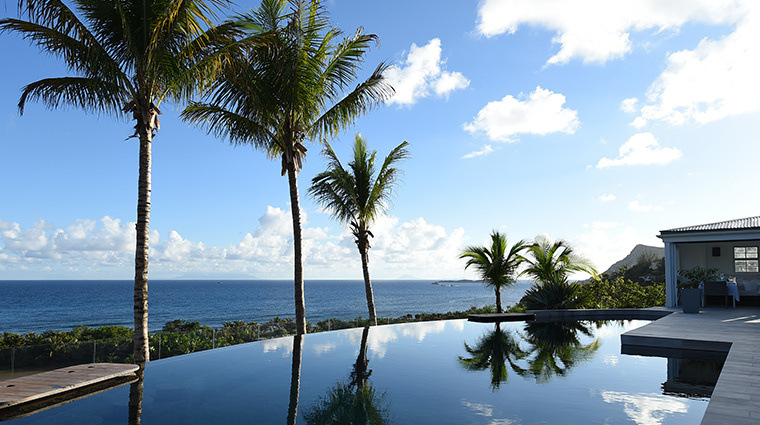 Nature also takes a starring role, as the hotel is on the island’s undeveloped southeast side, and the well-preserved landscape is full of cacti and St. Barts rare Gaïac trees. Thanks in part to its location on the quiet side of St. Barts, Hôtel Le Toiny is a refuge for people who are ready for a break from — or simply want to skip — the thumping music party scene of dayclubs such as Nikki Beach and La Plage Restaurant. There’s no champagne spewing or stiletto-dancing on tables, though there may be dipping in the infinity pool that gracefully unfurls along the length of the dining terrace. Often, there’s no reason for guests to leave their villas at all, as this is one of the most romantic, private places on the island. Hôtel Le Toiny overlooks one of the island’s best surf breaks, so there’s often good viewing, but the villas are a lengthy walk (uphill on the way home) from the nearest rock-filled beach. A better option is to drive to one of the island’s more beautiful beaches; Saline and Gouverneur, arguably the island’s best, are a fairly short distance away. A soft sand beach has been added to the rough shore near the club, along with an open-air amphitheater, coconut grove, orchard and pineapple trees. In the petite Serenity Spa Cottage at Hôtel Le Toiny, therapists perform treatments with the island’s cult-favorite line, Ligne St. Barth, as well as with natural ingredients like the minerals, algae and salt water found in the lava shell massage. There’s a small gym, and private yoga or Pilates sessions can be arranged. The new Toiny Beach Club is structured around two cottages, dating back to the 1700s (some of the oldest buildings on the island). The open-air The Le Toiny Restaurant is one of the prettiest and prime places to eat on this gastronomy-mad island. The culinary team concocts innovative haute French cuisine, with a close attention to detail: Seaweed butter is imported from Brittany, and the presentation of everything from shrimp appetizers to Caribbean chocolate desserts is artful. There’s a champagne sitting area, with ocean views and a bar decorated with oyster shells. Indulgent dishes such as the signature spaghetti with black truffles and Parmesan, and lobster with curry and coconut, cauliflower, radish and ginger — and an extensive wine list — earn the restaurant its stellar reputation.